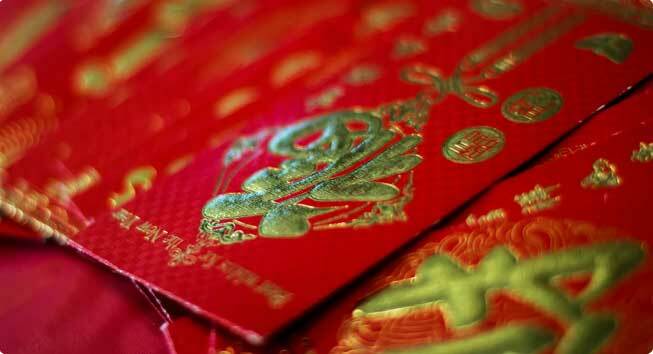 Ang pows - red envelopes stuffed with money - are usually given out by elders and married couples as gifts to the young and unmarried during festivals such as Chinese New Year as well as social or family gatherings like weddings and birthday celebrations. The red colour of the envelope signifies good luck and is a symbol to ward off evil spirits, with illustrations that typically bestow blessings and good wishes of longevity, prosperity, and good health to the recipient. Ever wondered how and when the practice of giving out ang pows began? It is widely believed that the practice dates back to the Qin Dynasty (221 BC - 206 BC), where the elderly would thread coins with a red string to gift to the younger generation as ya sui qian. 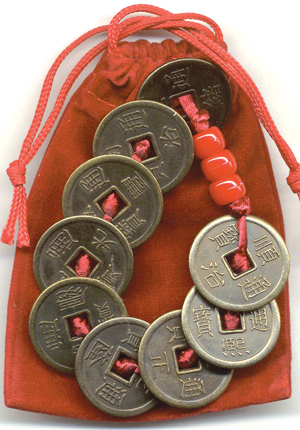 Back then, ya sui qian means "money to ward off evil spirits" (压祟钱, pinyin: yā suì qián) and was believed to protect the recipient from sickness and death. The ya sui qian was later replaced by red envelopes when printing presses became more common. It was then that it became known as "money to ward off old age" (压岁钱) when the phrase yā suì qián is written with the homophone for suì that means "old age" instead of "evil spirits". The origin of ya sui qian might have its roots in a folk tale involving an evil demon called Sui. Apparently, he touched children's heads while they were asleep, causing them to fall deathly ill or lead to their deaths. 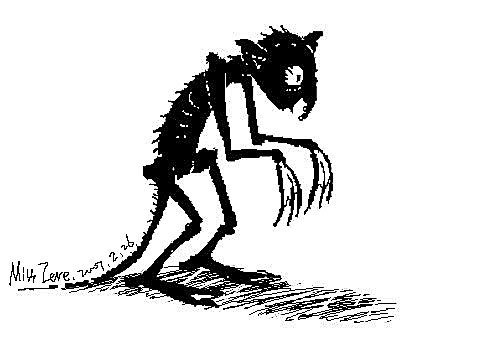 An artist's rendition of the evil demon Sui. Sui is said to be completely black, except for his hands, which are colourless. He was known to appear every Chinese New Year's Eve during the night to touch a sleeping child's head three times, causing the child to fall deathly ill or even resulting in their death. Parents would stay up all night to watch over their children as the demon continued his bout of terror, until a worried couple decided to pray to their god to protect their newborn child. Hearing their prayers, the god sent eight fairies to aid the small family. The fairies turned themselves into eight coins to trick the demon, which were then wrapped in red paper and placed under the infant's pillow. Everyone eventually succumbed to sleep, and that was when Sui appeared. Just as he approached the infant's bed, beams of golden light burst out from the red paper and scared Sui away! The miraculous story soon spread throughout the village, and everyone began wrapping coins in red paper to protect their children from Sui. As time went by, ang pows ceased to become a protector from evil spirits and became a symbol of well wishes and blessings for children. In another story, legend has it that the first ang pow was gifted to a courageous orphan after he defeated a dragon-like demon and saved a village during the Song Dynasty. 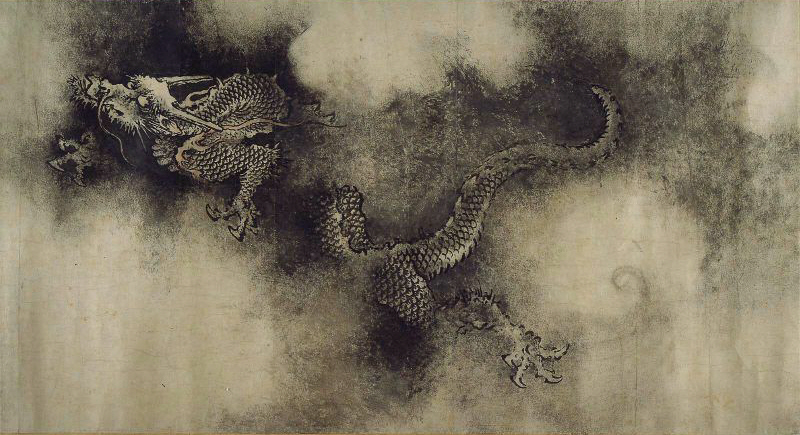 A dragon as depicted in a Song Dynasty painting. Sometime during the Song Dynasty (960–1279), a village called Chang-Chieu was being terrorised by a gigantic dragon-like demon. No one in the village could defeat it, not even their greatest warriors and statesmen... until a young orphan came along armed with a magical sword he'd inherited from his ancestors. The young lad fought and eventually destroyed the dragon. 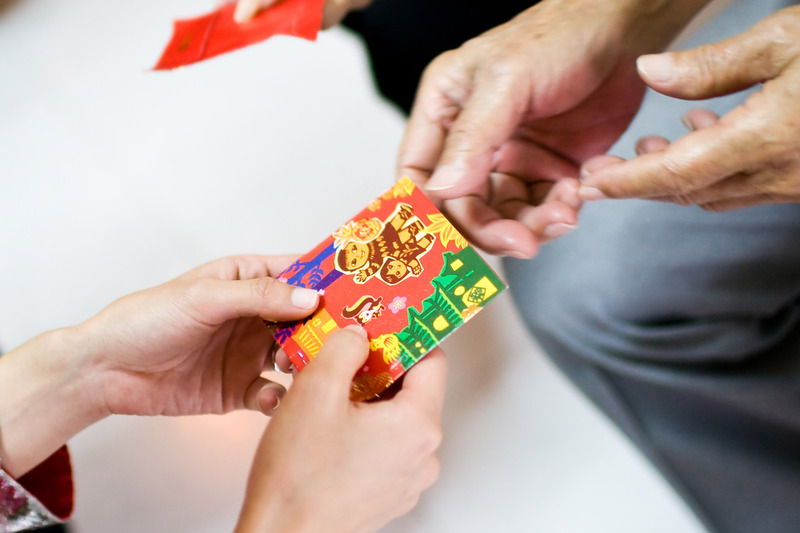 The villagers were overjoyed and presented the brave orphan with a red envelope (or most likely, a pouch) filled with money to thank him for saving the village. Since then, handing out ang pows has become a traditional custom to signify luck, prosperity, and goodwill. In modern times, ang pows may come in shades of orange, pink, and yellow, but its significance remains largely unchanged. In Malaysia, the practice has been assimilated into the culture of other ethnicities as well. For example, duit raya has been known to be distributed in the form of green packets modelled after the ang pow, while purple or yellow packets are handed out for Deepavali. What are some do's and don't's when it comes to receiving and handing out ang pows? Share your knowledge with us in the comments section below! They sure look yummy, though! On a related note, have you checked out this year's best mall CNY decorations?